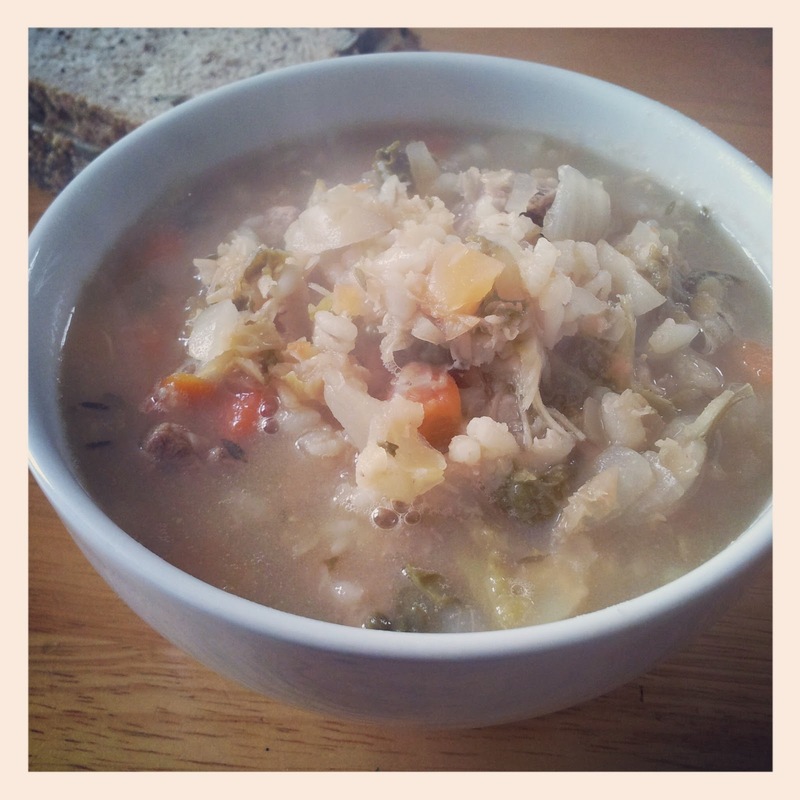 Recently we have been enjoying a broth that my husband has been making. His mum gave him the recipe and he has spent a couple of weeks honing and perfecting it. It is a one pot broth that can be made on the stove or in the slow cooker. We have this sitting in the pan for a couple of days, reheating it when hungry. It's a great lunch-time meal or evening supper warmer with plenty of crusty bread. We use shin beef but we are going to try this will all different types of meat. Of course, the veggie version will just omit the meat! Here's the recipe, with my usual style of measuring out ingredients (i.e. some, a bit, a handful). 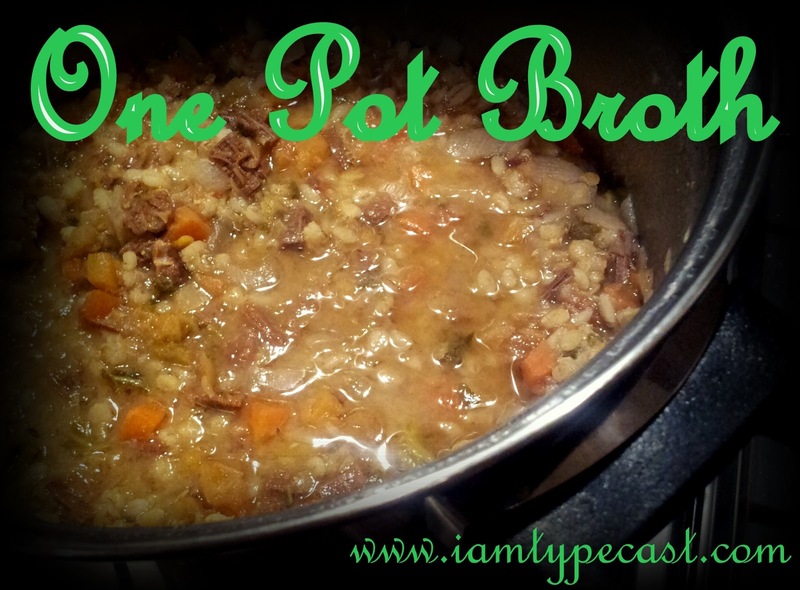 This method makes a really large pot (casserole pot or slow cooker size) and is super-easy for beginners and is idiot-proof for people who profess not to be able to cook very well! Let me know how you get on and I'd love to hear how you adapt this recipe to suit your family.